Sound: 9 Just what you would expect from a band with as much experience as the Eagles have. Guitar work by Joe Walsh is great. Vocals by Walsh, Frey, Schmit & Henley are spot on. Everything meshes together perfectly. Lyrics: 7 The Lyrics are good but nothing really jumps out at me like so many of their songs of the past have. Overall Impression: 6 This is where the new album loses me. I can see they tried really hard to recapture their sound from the Witchy Woman, Desperado, Tequila Sunrise days but to me the album is too slow and comes across more as an easy listening CD than it does a rock album. 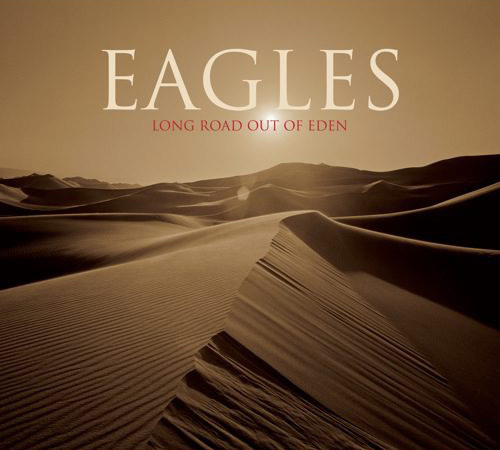 Out of the 20 cuts on the album more than 12 of them are slow, tear jerker type of songs(please don't get me wrong I think "I can't tell you why" is one of the best Eagles songs) I was really expecting more out of them then what they delivered.